Censorship of any kind is bad enough. But what makes this action even more disturbing is that our film is about the airbrushing of colonial atrocities. And now Facebook has joined the airbrushing. Because FB appears to be unaccountable – failing to respond to our requests for an explanation and offering no means of appeal – we can only guess at why the film has been deleted. When an organisation of such reach and power is not answerable for its actions, we have a problem. We fully understand the need for Facebook to monitor their platform for inappropriate content and fake news, especially in times like these. But the lack of transparency and recourse to appeal are deeply unsettling. Today, social media giants hold a powerful monopoly on the distribution of news and information. The opaque nature of decisions made behind closed doors without right to appeal should be cause for concern for every journalist/publisher of any spectrum. 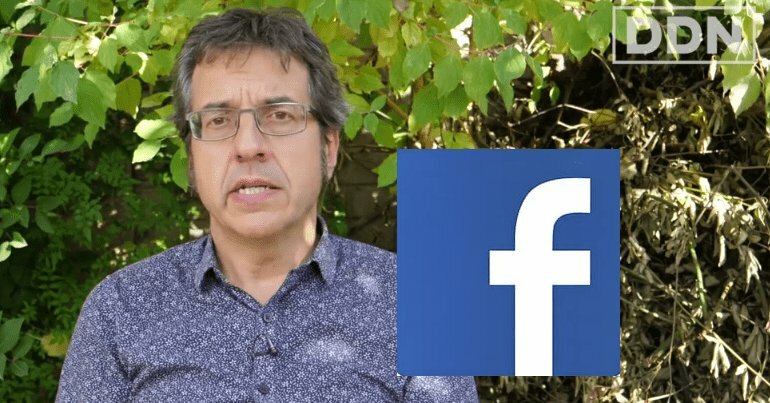 The video was a serious piece of historical journalism by author and journalist George Monbiot. George recounts the horrors of history in vivid detail. Therefore, at times, we understand the film may have been uncomfortable for some to watch. A number of visuals used, taken from the film 1492 and historical documentary footage, were graphic in nature. Facebook could have opted to put a warning screen on the video, which we would have had no problem with. Crimes of Britain Facebook page was shut down for "hate speech". Full statement on the image attached. More broadly, The Canary has been questioning Facebook about why it’s been deleting hundreds of political accounts. But so far, the corporation has failed to give any legitimate reason for removing a number of political pages, such as Reverb Press. The story so far doesn’t look good for those who believe in a free and open internet. Facebook has previously removed accounts with four million followers because they’ve been added to arbitrary US sanction lists. What makes this worse is that the criteria for adding someone to a US sanction list is so vague that even Jeremy Corbyn could potentially be added to one. That means Donald Trump’s administration could have anyone it fancies thrown off social media. Unfortunately, it doesn’t look like the mainstream media is that bothered about internet censorship, as long as it benefits them via removing independent media. But as the latest removal of a historical account of Columbus shows, this is a very dangerous path to go down. – The Canary actively invites its readers to question everything they read. So please follow the links we reference. And always search for more information if unsure. But if you believe in the importance of independent, grassroots media in the fight against corporate smears and propaganda, please consider supporting us. – Also check out Double Down News.